This parka jacket by Canadian designer Moose Knuckles is a must have for your winter wardrobe. 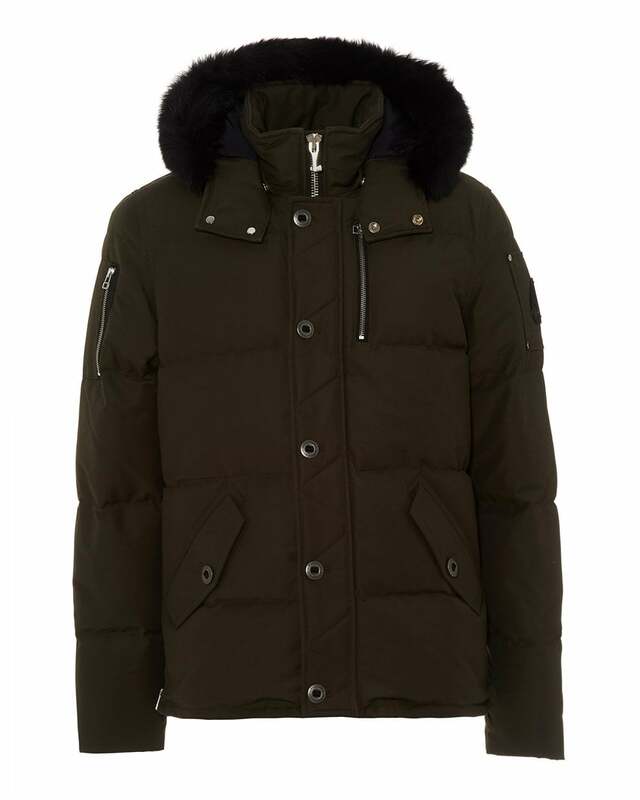 Express youthful style in this heavy duty coat, with a detachable fur trim hood, quilted padding with duck fill insulation for warmth and water repellent technology. Wear with any of your casual weekend outfits for a relaxed look.